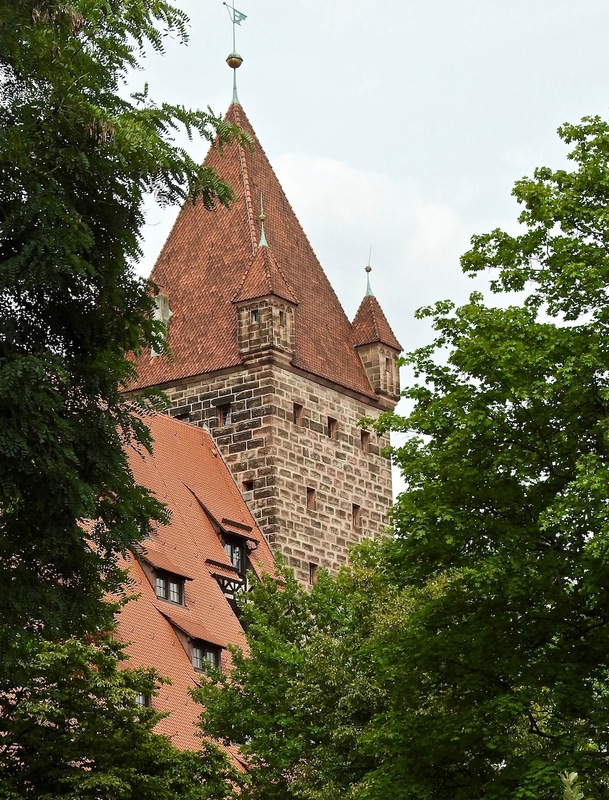 There’s more to Nuremberg than Nazi Party rallies and Nuremberg Trials where 22 soldiers under Hitler’s command were placed on trial. 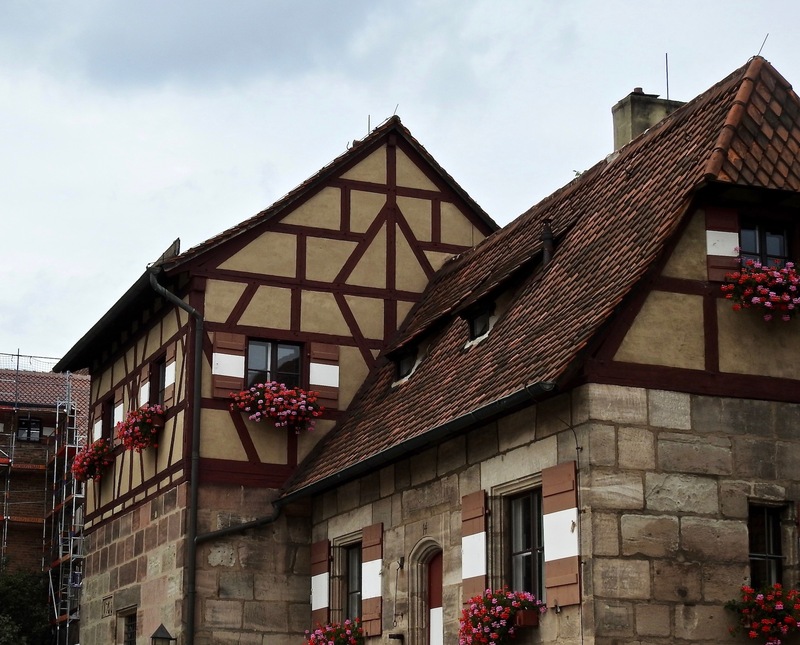 Nuremberg was heavily bombed during WWII. Since then, much of the damage has been reconstructed as close to the original as possible. 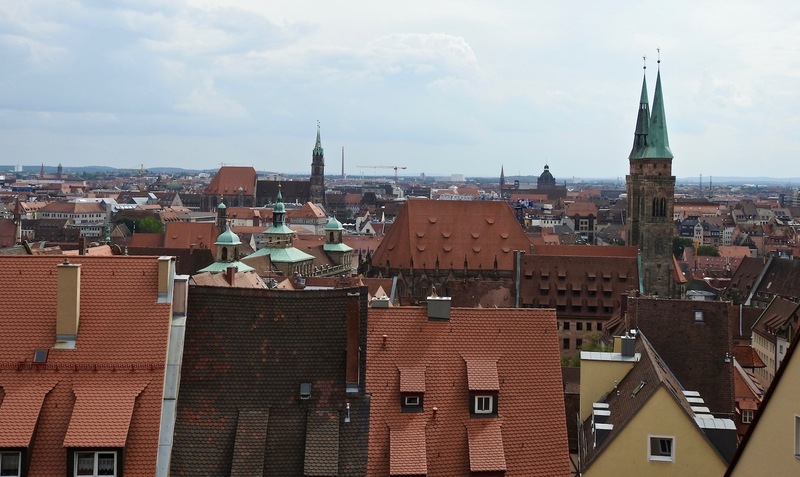 Overview of Nuremberg from the Kaiserburg Imperial Castle. 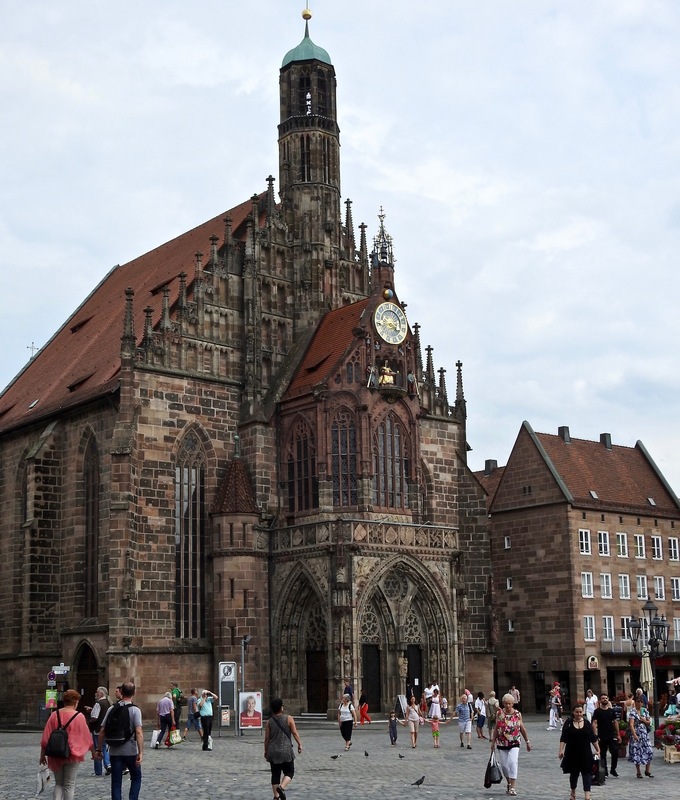 Nuremberg is Germany’s 14th largest city with a population over 1/2 million. 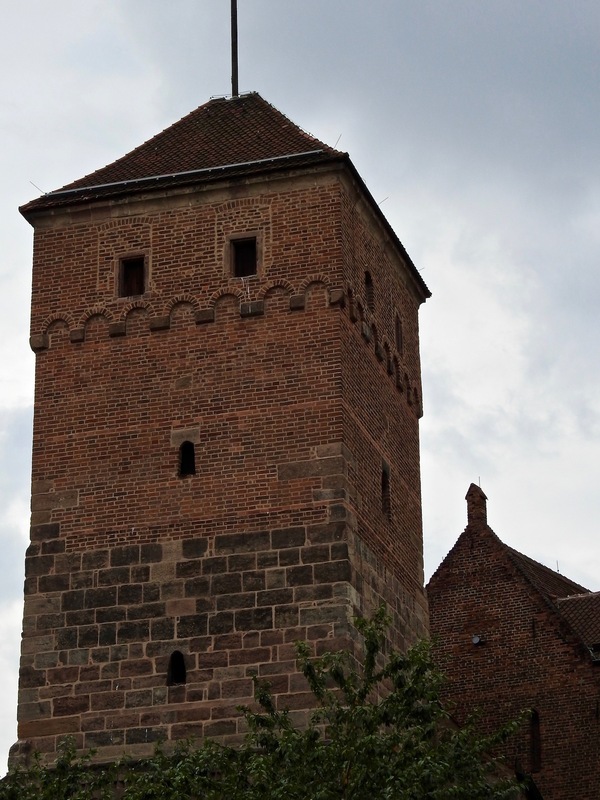 Nuremberg Castle has three sections: Kaiserburg, Imperial Castle, Burgraves’ Castle and Imperial City. 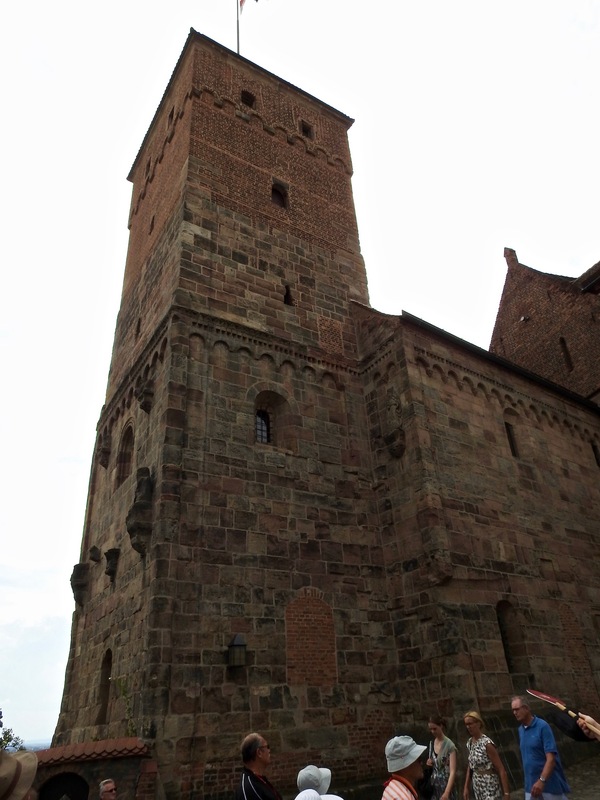 Of the three, the most interesting is Kaiserburg Castle. 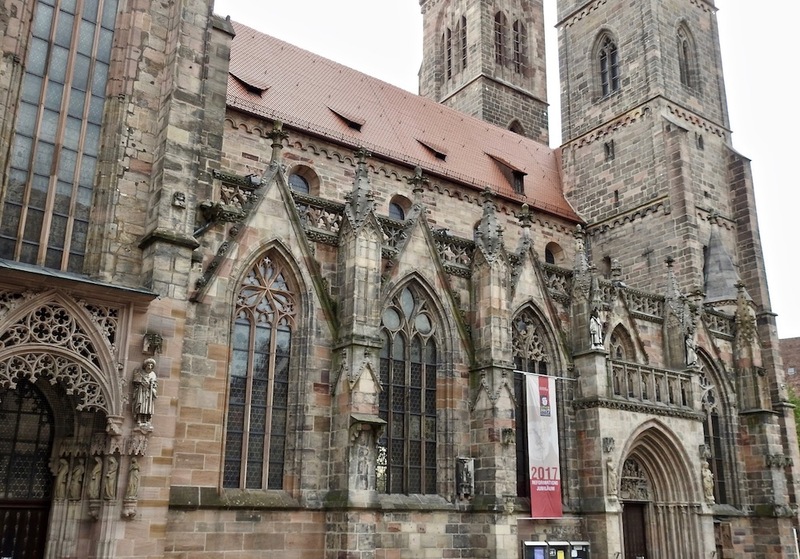 By 1219 Nuremberg was a great trade center and religious power-house. 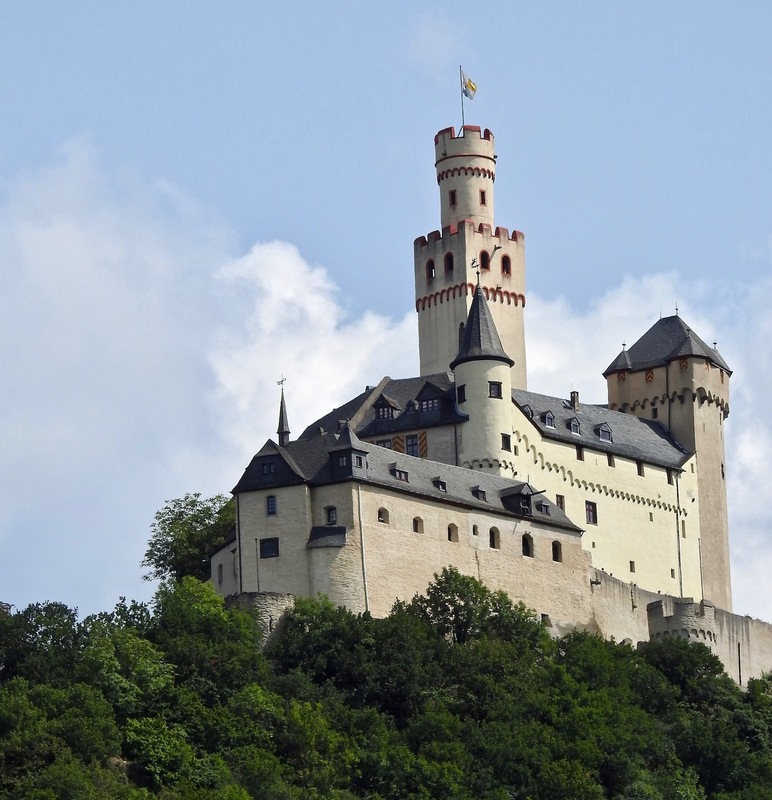 The Castle was the residence for the Holy Roman Empire’s head of state. This tower was constructed for defense purposes. Built in the late 13th century. The Double Chapel (built in 1200) is two chapels constructed, one on top of the other. The lower chapel was for the commoner and the upper chapel was for the wealthy. An opening in the floor between the chapels allowed the people in the lower chapel to hear the priest, but not see him. 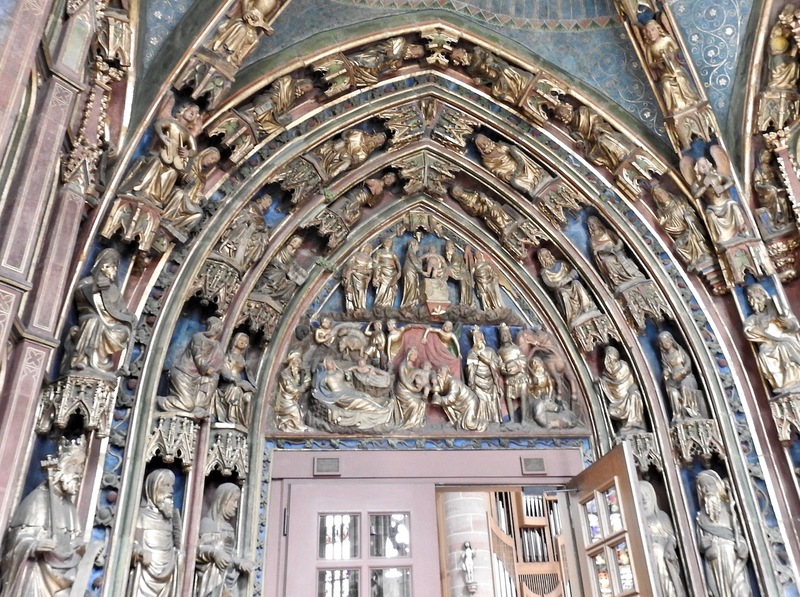 Double Chapel shows the Medieval social stratus between wealthy and commoner. 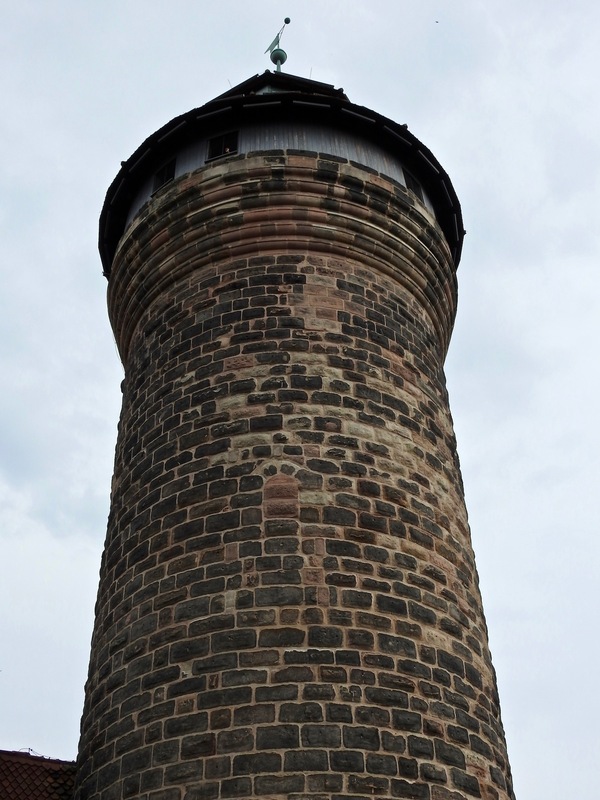 Burgraves’ Tower, used to see what was happening around the castle. The area to the left in the photo was once a stable. Now, it is a youth hostel. This well was dug to provide an independent water system to the castle. The shaft is 164 feet (50 meters) deep. The water was very clean since it was filtered through the limestone rock beneath the castle. In the last cleaning of the well, a full set of dentures was found…among the usual items of bottles and trash. 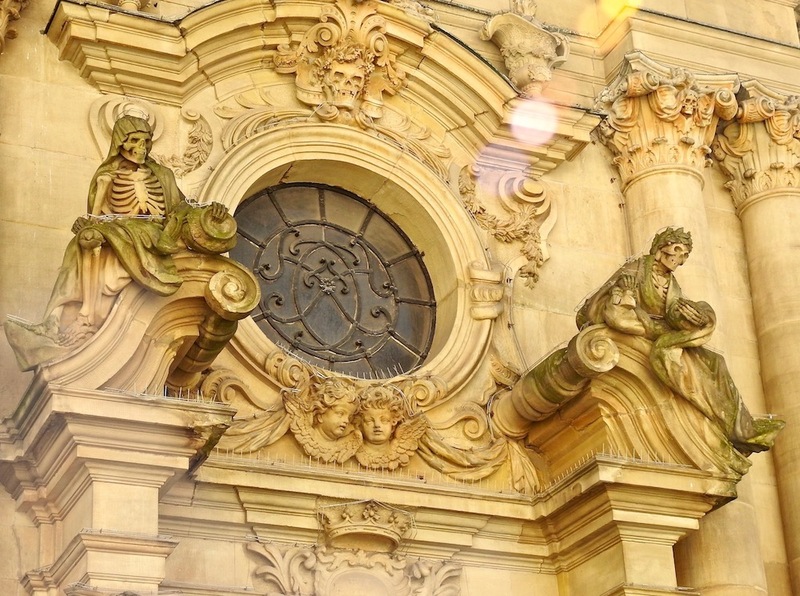 Most of the pagan statues, thought to be vulgar and a violation of religion, have been removed from the tower. People wanted to put worship altars in their home, but the church feared this practice, but a concession was reached. If the oriel was placed permanently to the outside, then, the church deemed it was acceptable. Besides praying, this was a good vantage point to keep an eye on what the neighbors were doing. An oriel attached to the outside wall. Used to pray, but also a way to spy on what is going on in the neighborhood. 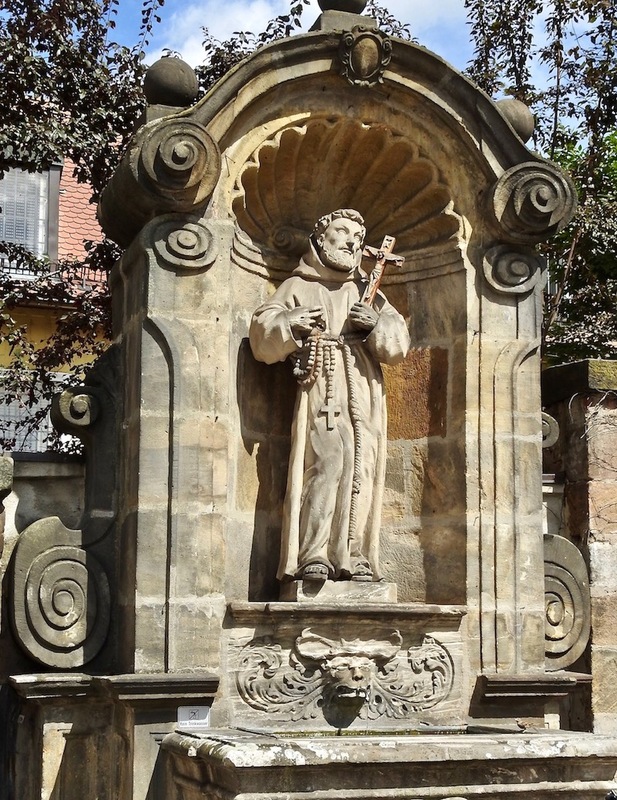 St. Sebald is the patron saint of Nuremberg, who protected the city from the burgraves. He is also the patron saint of merchants. Building of the church began in 1237. The legend of Sebald was he performed many miracles, such as healing the blind and converting the heretic. Pilgrimages to St. Sebald began in the 14th century and the number of people were so large that the church had to be expanded. Today the condition of the church is excellent since it was renovated after WWII. Market Square is a tourist center. First, there is the market itself. 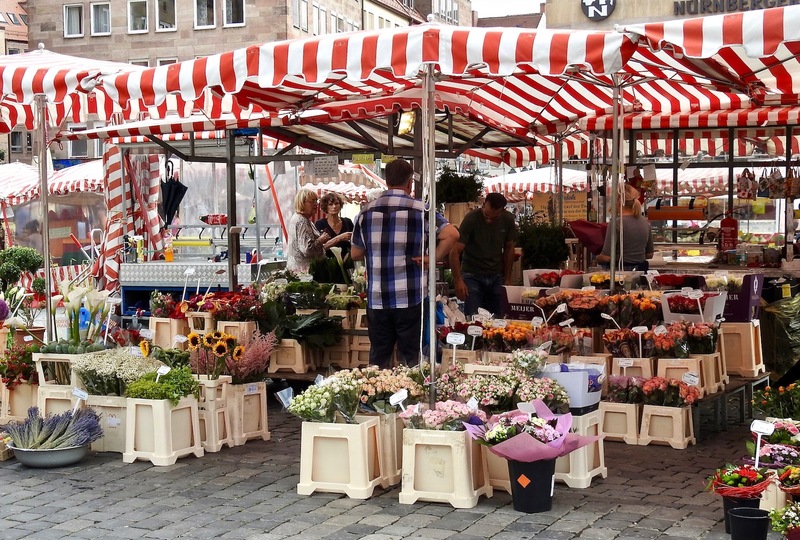 Vendors set up their red and white striped tents and sell a variety of products…from flowers to fruit. One of the red and white canopies of a flower vendor in Market Square. 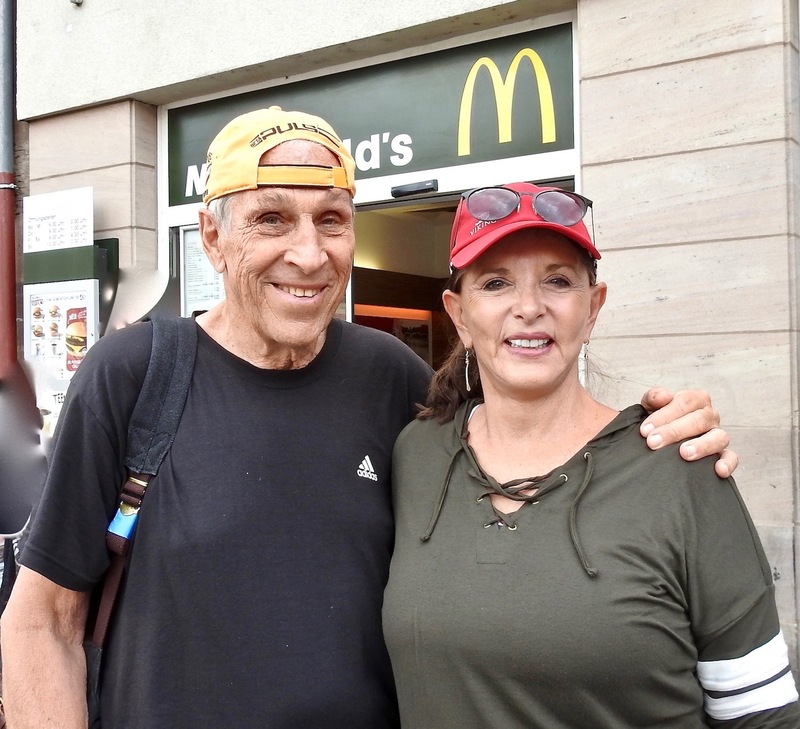 Shops around the square offer souvenirs, clothing, bank services, McDonald’s, and terrific gelato. 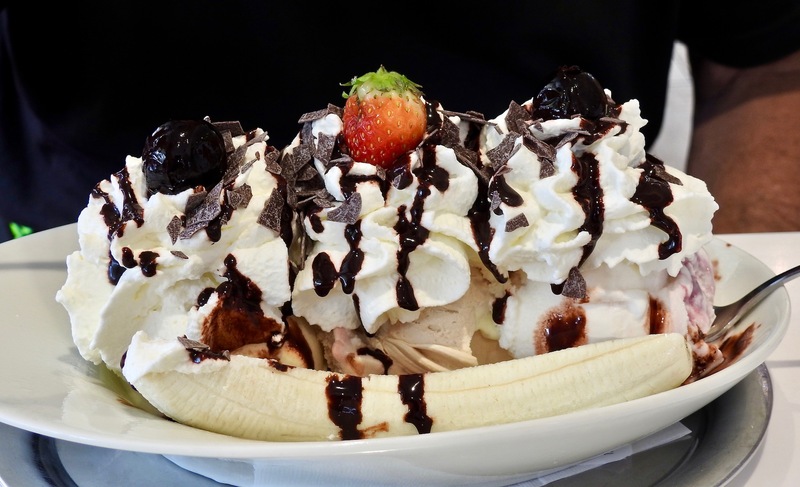 Banana Split at the Gelato place on Market Square, next to Our Lady’s Church. Originally, this area was a bog. The Jews drained it and established homes and businesses. The first pogrom (purging based on ethnicity) was in 1298 when 628 Jews were murdered supposedly to make room for the market square. The underlying reason for this purging was to join together the northern and southern parts of the city which was separated by the Pegnitz River. Another pogrom in 1349 killed approximately one-third of the Jewish population (562 Jews). The synagogue was destroyed and wealthy families bought land in the area to build opulent homes. 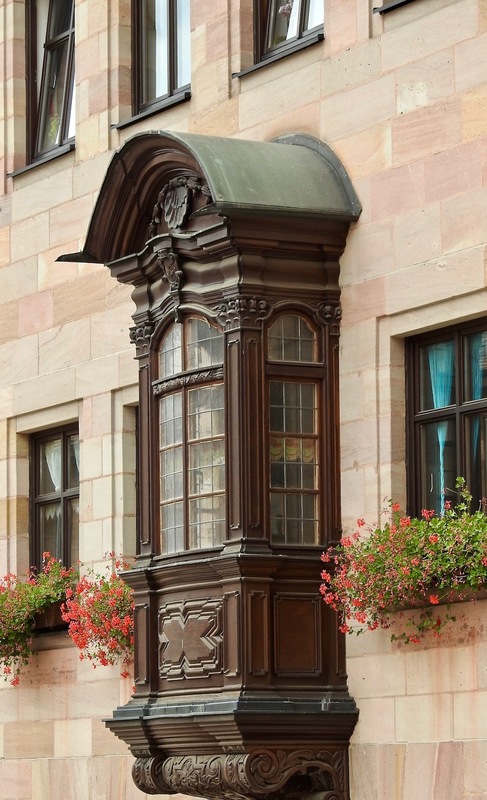 In 1498, the final expulsion of Jews took place and for 350 years, Jews were not permitted to live or spend the night in Nuremberg. Our Lady’s Church located at the edge of Market Square and built on top of the synagogue which was destroyed. Our Lady’s Church (Frauenkirche) was erected in 1355 on the site of the synagogue. The church was destroyed in WWII and rebuilt exactly as it was before. There is a Star of David inside the church as recognition that this church stands on the ground of the synagogue. Star of David inside Our Lady Church as acknowledgement of the destruction of the Jewish Synagogue. On the corner of Market Square is Beautiful Fountain (Schoner Brunnen). This is one of the most beloved icons of the Nuremburg people. The ornate spire rises 62 feet (19 meters) like a Gothic steeple. Forty figures are arranged in a hierarchy beginning with philosophy and the arts to evangelists to heroes and topping the spire is Moses and the prophets. Beautiful Fountain. The people of Nuremberg love this fountain. It sits at a corner of Market Square. There are several “rings” in the ironwork at the base of the fountain which can be turned. Superstition is that if you turn the ring three times, clockwise, you will return to Nuremberg. Ring on the Beautiful Fountain. Legend is if you turn the ring three times clockwise, you will return to Nuremberg. 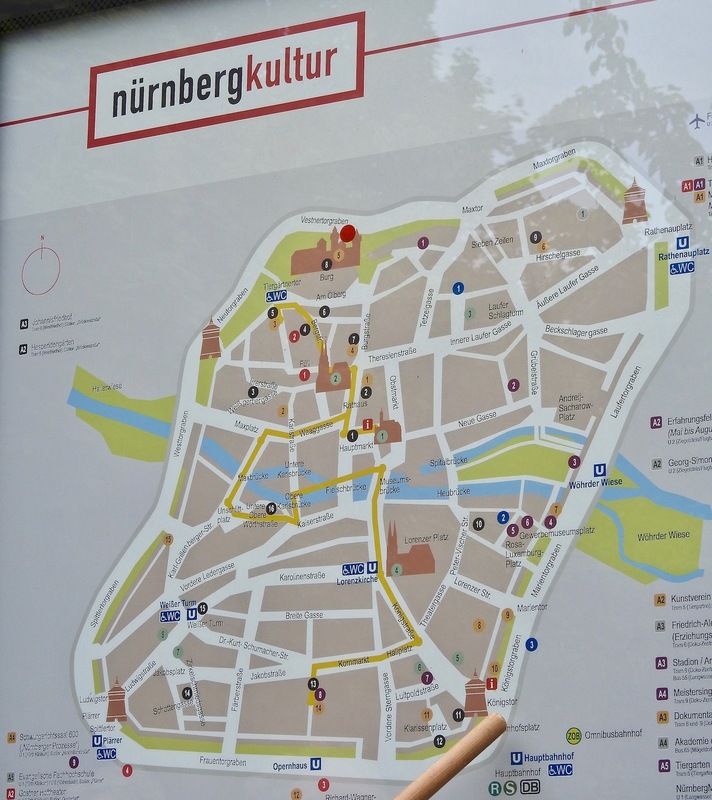 Nuremberg was not what I expected. It seemed dark, crowded and unhappy. I had little understanding of the city and how it was organized. I’m glad I was able to visit, but I don’t think I will ever return. In 2010, Annie Coburn created Fab Placez. In 2014, she changed the name of her website to FAB Senior Travel to better define her target audience, mature travelers. In order to provide diversity of locations and topics for her subscribers, she publishes travel articles from other writers, as well as her own.